- Spelling analysis - detailed charts! 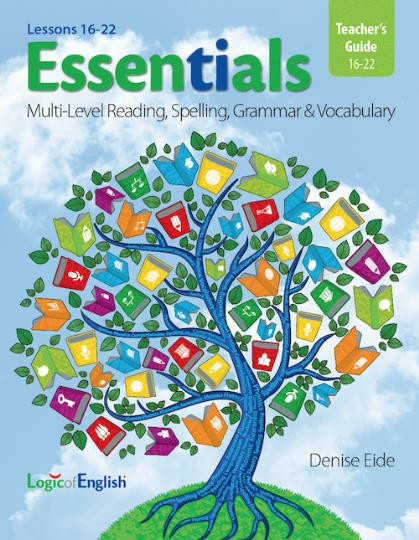 - Lessons 23-30, the last eight lessons in Essentials, teach the remaining phonograms and spelling rules, advanced phonograms, and new grammar and vocabulary concepts. - To continue to these lessons you will need the supplements from Lessons 1-15, plus the Teacher's Guide, Student Workbook, and Morpheme Cards for Lessons 23-30.